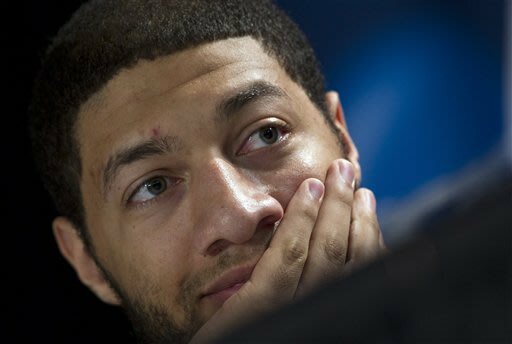 In the most celebrated news the NBDL has ever seen, Royce White today reported to the Rio Grande Valley Vipers. RGV is the "AAA" affiliate of the Houston Rockets, who drafted White in the middle of the 1st round just over 6 months ago. The news is news because White truly is a transcendent talent. At 6'8" and about 270 lbs, he led Iowa State last season in points, rebounds, assists, steals, and blocks. He also led the Cyclones to their first NCAA tournament berth in 7 years. He has the body type and (most of) the skills of LeBron James. But white enters the NBA season just before the All-Star break in the D-League, since he and Rockets management couldn't come to an understanding regarding his anxiety disorder. But White made plenty of news cycles, Twitter news feeds, and even HBO's Real Sports as an advocate for the mentally ill during his hiatus/exile. Yesterday White passed his physical. Today he reported for action. Tomorrow he should make his pro debut against the Maine Red Claws. The national glare should be on him for about a day, then he'll play for crowds in the 5,000 range until the Rockets decide whether to elevate him to the big leagues. After the detente, the timing of the return is of no surprise. The Vipers just returned from a 6-game road trip, and the road trips are a concern for White because of a fear of flying (among other things). Hopefully White can achieve peace, and then eventually some acclaim in the NBA. He certainly seems ready to go.